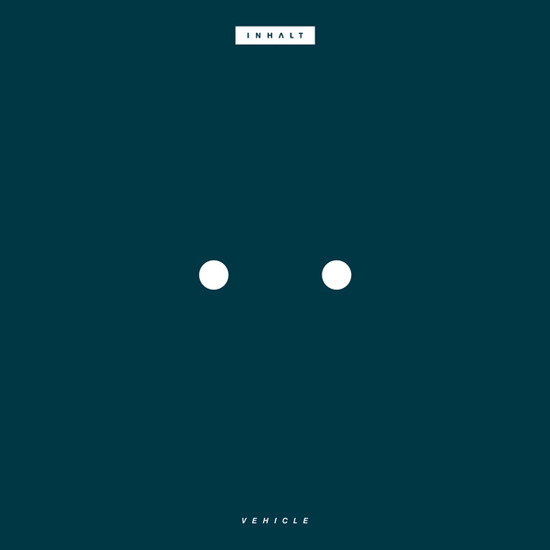 Dark Entries is proud to release the debut EP “Vehicle” from San Francisco based synth trio INHALT. Consisting of European and East Coast natives– Matia Simovich, Bryan Gibbs, and Philip Winiger– INHALT’s core operative strategy is of sonic fidelity and integrity rather than nostalgia. Having experienced the downfall of the music industry and professional studio system while working at Asphodel Records/Recombinant Media Labs, INHALT needed to create their own creative working environment. Thus, they designed and built The Bunker Studio, developed around an integrative ideology and employing the best of vintage and modern technologies and techniques. Here, they’ve honed their sound–sometimes referential to the raw electronics of Kraftwerk or the drive of Moroder disco–but ultimately their own interpretation of the border between the past and the present. What started with the split 12? for Andy Blakes’ World Unknown imprint now continues with the “Vehicle” EP, where the brutality of the analogue transistor rhythm section meets the sincerity of the human voice.